Han-earl Park is one of those musicians governed by a permanent dissatisfaction. Each new project he devotes himself to is a new opportunity to test the limits of melody, noise and the cyber-futuristic limits of the music he takes to the stage with an almost scientific commitment. 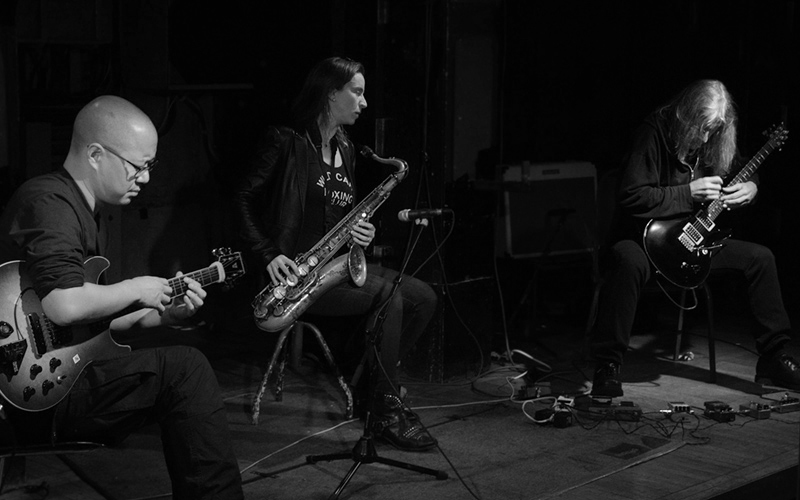 In ERIS 136199, the mystery begins with the very name, extending afterwards to the challenging relationship his guitar establishes with Catherine Sikora’s saxophone and Nick Didkovsky’s guitar (Didkovsky is founder and leader of the group Dr. Nerve, at the heart of the downtown New York avant-garde scene).